Over the past 35 years, Dr. Fanny Yacaman has distinguished herself as a leading endodontist with here state of the art instruments. Her extensive use of the microscope has Dr. Yacaman recognized as the premier specialist in the country in Microscopic Endodontics. 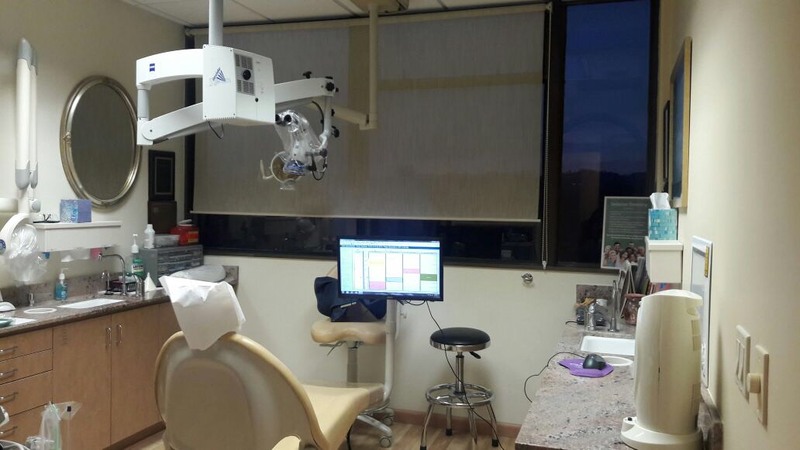 She executes insurmountable skill as she performs root canal treatment utilizing magnification lenses, microscopes, years of experience, and world-class training. Dr. Yacaman specifically utilizes the camera to videotape and take pictures, showing patients where the problems are located. With this microscopic technology, Dr. Yacaman is able to find calcified canals, extra canals, and cracks inside the root. Dr. Fanny Yacaman has gained the trust of many celebrities and high ranking government officials who travel from around the world to be seen by her. Her experience, quick wit, and attention to detail put her in a class of her own. Patients who need root canal treatment have the option to see a special type of dentist who has gone through two years of additional training solely focused on root canal treatments. This specialist is called an Endodontist. Beverly Hills Endodontist, Dr. Fanny Yacaman, has more than a decade of experience practicing root canal treatment and related Endodontic issues. Her personal fascination with teeth roots and root resorbtion benefits her patients as this passion translates into exceptional care. Restoring patients health quickly, painlessly and effectively is her number one priority. The Los Angeles Endodontic team at Dr. Yacaman’s practice is happy to treat patients with any level of dental anxiety. With Dr. Yacaman’s help, fearful patients become calm and relaxed within minutes. Patients often refer to her dental practice as a dental spa. Through the use of breathing exercises, aromatherapy, and ambient music, patients feel calm through the entire root canal treatment process. If deeper relaxation is required, sedation dentistry is provided upon request. Dr. Fanny Yacaman’sEndodontic practice is conveniently located on Roxbury Drive right on the corner of Little Santa Monica, in the heart of Beverly Hills. Her office can be found toward the top of a large medical building and boasts beautiful views of the city. To learn more about getting root canals in LA, Dr. Yacaman, or her practice, contact us or make an appointment today.